A strategy based on trend that can give great satisfaction to the trader. Looking at the performance of prices in various charts, especially those with higher time frames, it is not difficult to visually detect the direction of the market. This allows us to recognize the trend and use it for our inputs. If you are already use a trading system, it is often indispensable to only filter those signals that correspond to the direction of the market, in order to reduce the negative cases. A strategy based on trends cannot simply tell us to enter Call when the trend is positive and Put when it’s negative, even if that’s the basic concept. Because even a well-defined trend, there are always fluctuations, the trader may, after establishing the direction of the trend, wait a reverse swing and proceed with the direction previously determined. That is all fine and dandy provided that such a trend does not betray in such a moment! In the featured image , the positive trend is quite defined, but if we decide to head right at the dotted line, we will not be certain of the outcome. 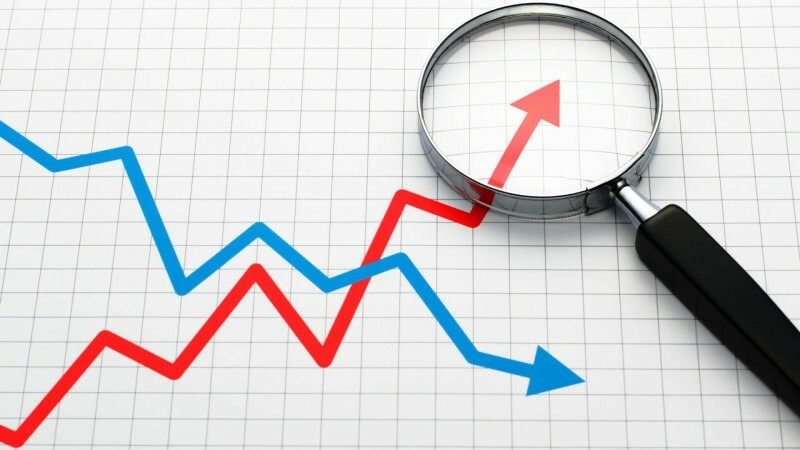 There are techniques to identify the trend through the use of indicators, the direct observation of prices, or the analysis of different time frames. Several traders will each have their own approach to the problem. You can pursue the current trend only if you are able to determine it correctly. 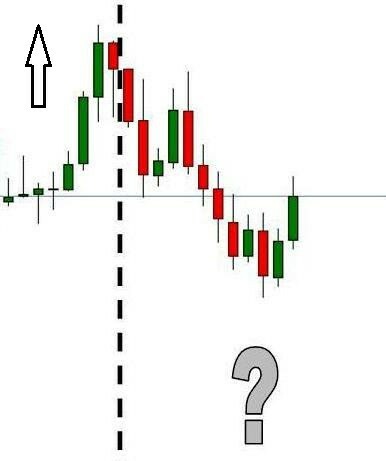 A currency pair which follows a certain trend in the time frames to 5 minutes, may in fact be followed by a reverse in the one to 30 minutes, for example. Even if I meet the coincidence, you should still be aware of how reliable your assessment of that particular trend is. We’ve explained in the Moving Average Strategy a system that is useful for determining the direction to take. This article on the trend completes it with important rules. The “set-up” we recall here briefly, and builds its two regulated mobile medium on a period of 5 and the other on a certain period of 20. Buy when the orange line drops below the purple and sell when the orange exceeds the purple uphill. This is easy to also those who have started trading the first time. The system’s effectiveness is greater with inputs based on the direction of the trend. Correctly determinating the direction of the trend, however, is not as intuitive as it may seem, and in this article we will focus on this important aspect. Once we establish the direction of the market, “filter” our inputs depending on the trend. 1. Buy when the orange line drops below the purple and sell when the orange exceeds the purple uphill. 2. Wait for the closure of the crossing candle. 3. Be faithful to the direction of the trend. In case of an indefinite trend, suspend trading. How to determine the trend correctly? The trend can be determined by observation of the graph, even without indicators, as the human eye in this case exceeds any technical instrument. However, it should avoid common mistakes. Let’s see how. 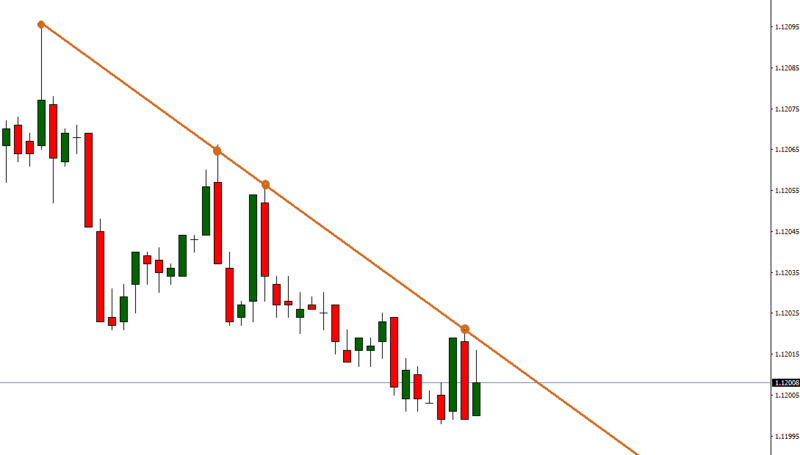 To determine a trend, use the trendlines, and learn to draw them correctly. Just draw a trendline connecting highs with highs (or lows with lows) and its inclination leads us to identify the trend. 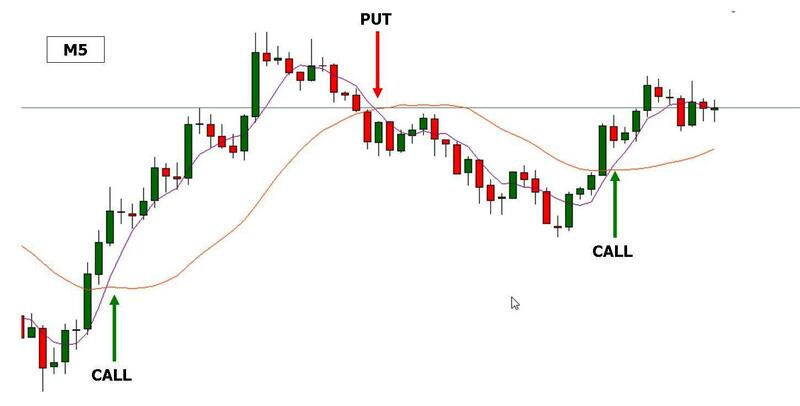 To get started, locate a price change and utilize the maximum or minimum as the basis of the tracking start, as if it were a hinge marking the changing trend (pivot point or pivot line, line connecting the pivot points). That’s a trend line that connects four highs, that is, the upper parts of the swing prices. These highs are descending and the trend is clearly negative. Remember that a trend line remains all the more stronger and valid with every possible points marked. So in this particular case to establish that the trend is positive is inappropriate. 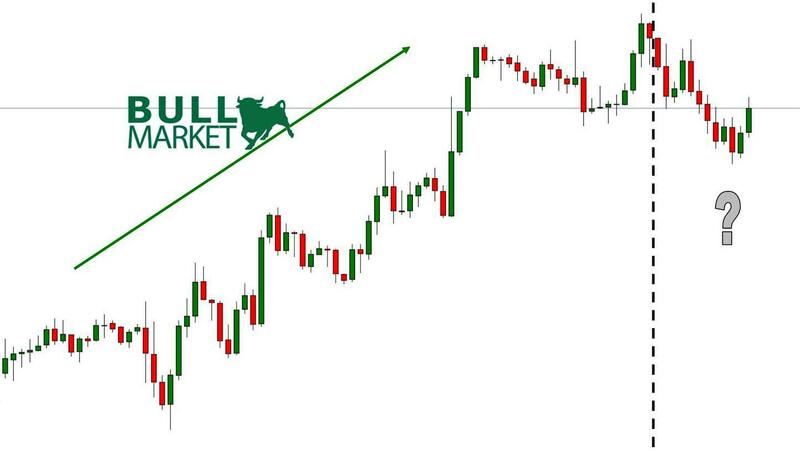 Drawing a trendline correctly allows us to determine the market trend and enter the trade only in a certain direction, filtering our inputs to maximize winnings. 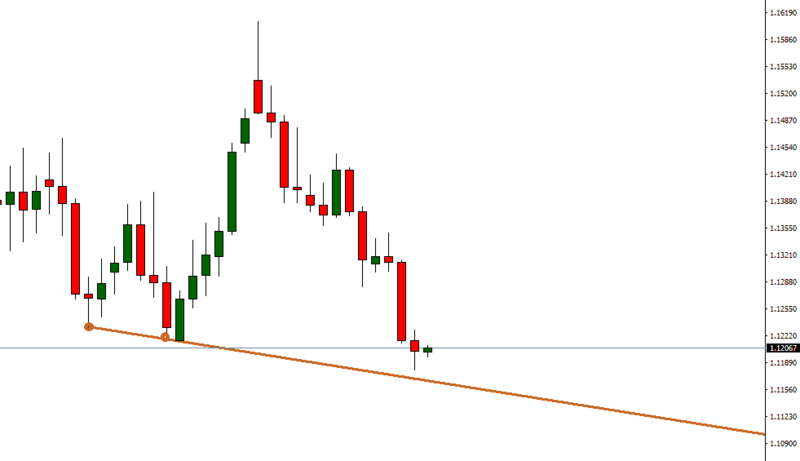 Trendline breakouts, geometric shapes formed by the trendlines etc. are not part of this article. Our passion for trading led us to innovate and discover new tricks strategies, indicators or brokers. Caring for the new English-language FreeBinaryOptions.One, Ivan Griscenko, along with his father Giancarlo and his fellow American friend Robert Pavehouse, share the experience of several years of trading. 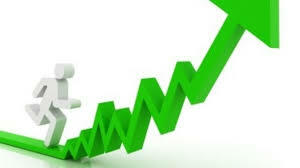 Ivan still focuses with other popular binary options sites, as forzaforex.it. Pocket Option Review: New Broker, High Payouts. Ivan Griscenko on Documents: Before Deposit? John Alaribe on Documents: Before Deposit? Abdibasit Farah Hersi on Documents: Before Deposit? Ivan Griscenko on Pocket Option Review: New Broker, High Payouts. 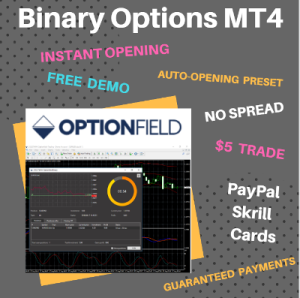 freebinaryoptions.one is a website for information purposes only. We are not responsible for your investment decisions. The content on this website is updated from time to time and there may be inaccuracies or errors. 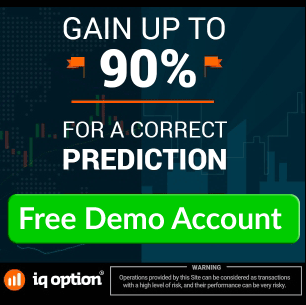 freebinaryoptions.one and its staff accept no responsibility for any direct or indirect damage or loss resulting from the use of the information on the website.